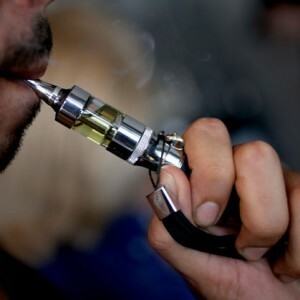 Nicotine in e-liquids is often graded in levels. This often varies from one type of e-liquid to the other. There are several manufacturers of e-liquids out there. Each manufacturer decides the level of nicotine to use when formulating e-liquids. There are basically e-liquids made in America and other brands made in Europe. There are also e-liquids made in China. Some American and European companies have their e-liquids produced in China before getting them home. This is because the Chinese economy is favorable to manufacturing companies. Each brand of e-liquid comes with specific level of nicotine as may be decided by the manufacturer. The nicotine level in e-liquids is usually measured in milligrams and milliliters. This is often indicated in the packs of most e-liquids. For instance, you may see an e-liquid that has 12mg/ml. This means that there is 12 milligrams of nicotine in 1 milliliter of the liquid. There are different nicotine liquid levels available in e-liquids. The level starts from zero and move up. Electronic cigarette smokers have the opportunity of choosing the best nicotine level that will suit them as they go about vaping. New e-cig smokers are often encouraged to start with e-liquids that have zero nicotine level. Such types are not harmful by any means. They are known to have sweet-smelling flavors. They are also very light. New smokers can have a great time using zero nicotine level e-liquids. Experienced e-cig smokers can go for e-liquids that have higher levels of nicotine. This depends so much on the smokers involved. Each smoker is advised to choose the best nicotine level that will suit his or her person. There’s an approximate nicotine level specification used by most e-liquid companies. 0mg is equal to no nicotine. ‘1mg to 11mg’ signifies low level of nicotine. ‘12mg to 16 mg’ signifies medium level of nicotine. ‘17mg to 24mg’ signifies high level of nicotine. ‘25mg and above’ signifies extra high level of nicotine. Nicotine can be very addictive. Hence, new smokers are often advised to be mindful of this when they start vaping. The more you smoke the more nicotine you crave in the long run. In all, it’s important you take note of the information shared above if you’re interested in vaping. You need to smoke with caution to avoid getting into serious health challenges that are often associated with smoking.